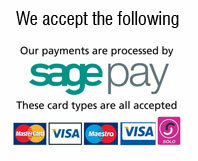 We accept payment by all major debit and credit cards. The only card we do not accept at present is American Express. 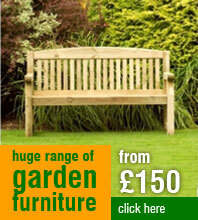 If you wish to pay by cheque please ensure the cheque is made payable to Total Gardens Ltd. Please note that your goods will be shipped once the funds have cleared (this normally takes approximately 5 business days). If you would prefer to complete your payment with PayPal we can do this on request. Please contact us by phone (0330 1002377) and we will set the payment up and send you a money request. 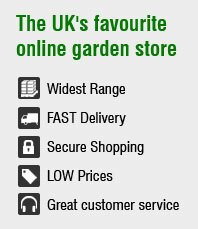 Please note that we can only deliver to a PayPal confirmed address. We are happy to accept purchase orders from schools and local authorities and are happy to ship goods out in these instances providing payment is received within 30 days (EOM). Please note that an official purchase order will be required which clearly states the purchase order number, items required and pricing. Don't forgot to include P&P costs. Please contact us if you wish to pursue this route.